February 17, 2019 | Mon. – Fri 9 a.m. – 4 p.m.
Naples, Florida is home to some of the most beautiful beaches, fine dining, high end fashion shops and is a prime destination for a half marathon and 5k. Both the half marathon and 5k race courses will take you past some of the most beautiful natural scenery, luxurious homes, and friendly fans cheering you on along the way. 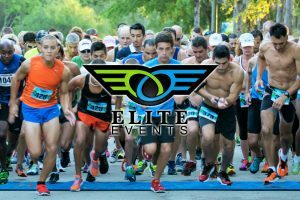 Half marathon runners will travel through the beautiful Lely Resort which features several inclines; something unique to Southwest Florida running. Racers finish on Victory Lane of the “World Famous Swamp Buggy Races” track. Both half marathon and 5k runners earn a huge colorful finisher medal.